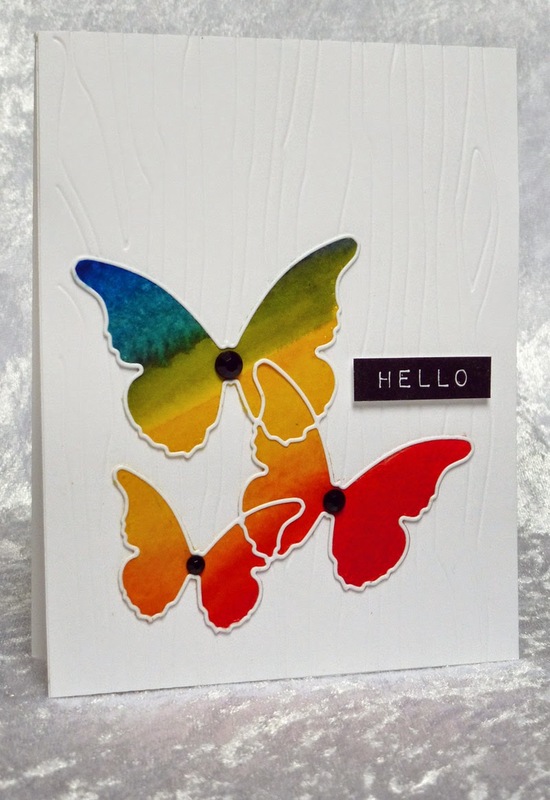 Today I made a card for House Of Cards - April Challenge - Add A Butterfly or Use Colours This was the picture on the blog and the brief was, to choose to use the colours (all or some) or add a butterfly, or both . . . I did a bit of both! However, I still kept it to my preferred CAS style. Gorgeous Hazel. Great take on the pic. Hi Hazel! 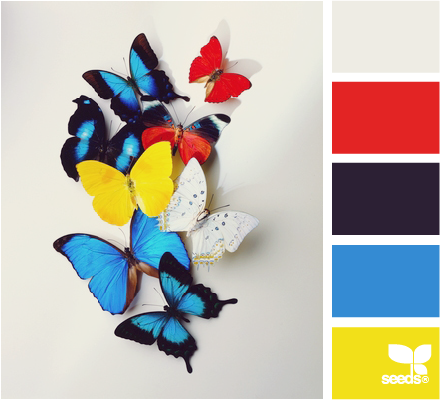 Love these beautiful watercolored butterflies. Nice embossed background too! Thanks for joining us at House of Cards. 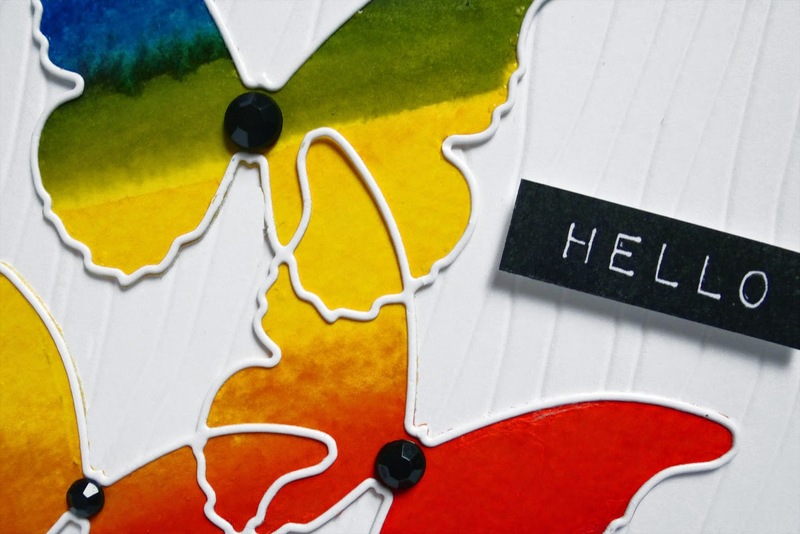 Hazel, your card is stunning and the vibrant colours wonderful. 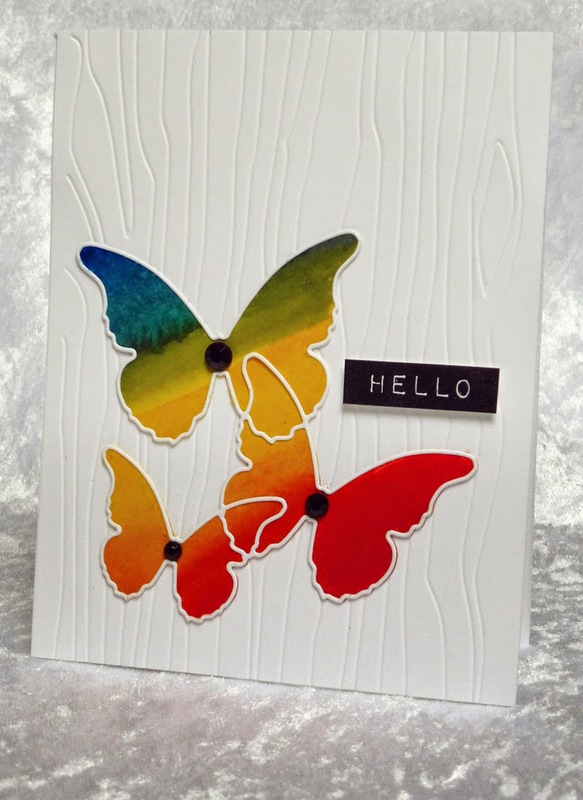 Great card, beautifully painted butterflies. I love this die Memory Box, for now, unfortunately, is beyond of my reach:-(The card is so elegant and energy thanks to the intense colors. So gorgeous and what a brilliant way to use those colours. I've been thinking of getting this die myself and you've definitely sold me on it. Stunning card! ooh my dear this is really stunning adorable made.. 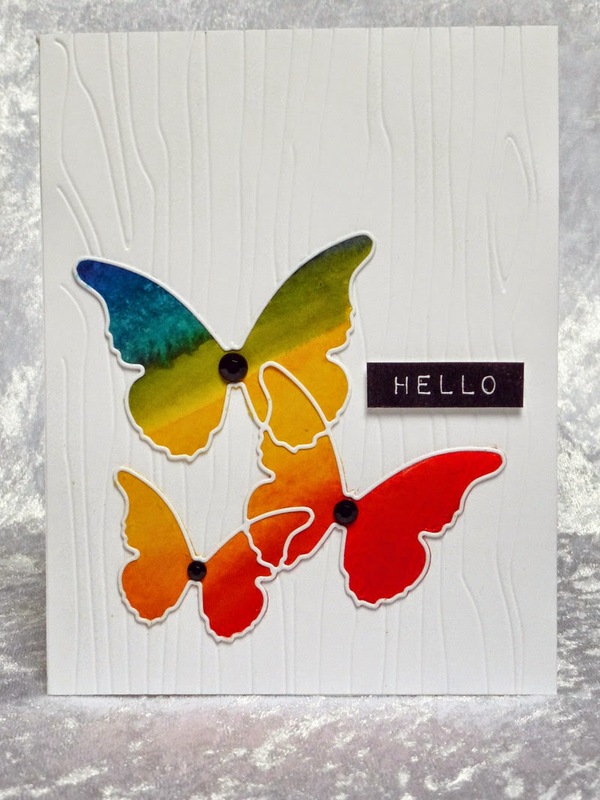 I have birthday linky party if you like to join maybe..
Those butterflies are stunning, Hazel! Love those bright rainbow colors! Amazing rainbow butterflies! And the wood grain background gives your card a real special something. Beautiful flutterbys, Hazel. I love all that luscious white woodgrain too. Beautiful project and those butterflies are stunning!! Thanks for joining us at House of Cards.